Now if you are just starting off making vlogs and short films, you will probably know what a jump-cut is. YouTube star Casey Neistat has been probably its biggest proponent since Jean Luc Goddard introduced it in Breathless. A pan shot? may be not. You would have seen them used in films, but never recognized it by the name. Pan Shots have been traditionally used to show action, but as Wes Anderson showed in Grand Budapest Hotel, it can be used with good comic effect as well. So are the names of things really important? Not really. You don’t have to know the names of editing techniques or shots to use them, but it’s important to recognise them in films and videos you watch. Learning to recognise a pan shot or jump cut when you see them in a video helps these concepts become part of your intuitive mind. Intuition works like a muscle, the more you exercise it, the better it works. So that the next time you are making a video, you would know how to frame a scene or how to cut a shot without putting a lot of thought into it. 1. Introduce these concepts to you so that you can recognise them in the next movie you watch. 2. We want you to go ahead and try these in your next short film/vlog/Instagram story. 3. Beyond that we want you to go ahead and break these conventions. I guess the short answer is — anyone and everyone who’s interested in learning about films. The slightly longer version is — The internet is on its way to becoming an all video affair, and I say that without a hint of exaggeration. Now would be a good time for social media managers, marketers, writers and vloggers to up their video game (no pun intended). In a world that is all video, learning how to tell a good story with video would be like bringing a gun to a knife fight (at least I would like to think so). 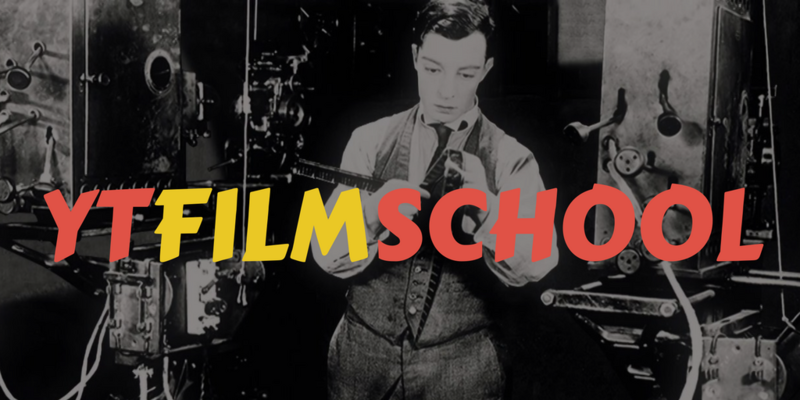 We call it the YTFilmSchool!